As much as we've grown over the years, we've never forgotten our core values. Our core values are the pillars that hold us together and keep us standing strong. They are shared by everyone at Business Unlimited. 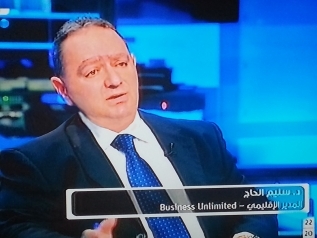 Dr. Salim Hajje Regional Director of Business Unlimited, speaking about Franchising during an interview with Bassel AL Khatib on Future TV channel, Business Mag. Program. Follow the interview link, enjoy. Copyright © 2012 Business Unlimited. All rights reserved.